Which players were the difference makers in Nebraska’s first road win of the season? Nebraska was able to get its first road win on Saturday night against a pesky Northwestern team. Nebraska has had a lot of trouble with Northwestern in the past. One could even argue that it has evolved into one of Nebraska’s rivalries in the Big Ten. Nebraska fans should be happy with the win. Just keep winning games, style points don’t matter. Just win baby! Nebraska was able to get their revenge from 2015 with a 24-13 victory. So which players were the MVP’s Saturday night? Yes, I have picked Armstrong to be the MVP on offense three weeks in a row. But that’s just how good Armstrong has been this season. Mike Riley and Danny Langsdorf have done an incredible job developing Armstrong into an efficient quarterback. They have incorporated the quarterback run game in the offense, which has given Nebraska another weapon on offense. In this game, Tommy Armstrong led the team in rushing with 138 yards on the ground, a career high. Armstrong also had a a 37 Yard run in the game. If Armstrong can keep improving, there is no reason this team can’t be undefeated going into the Wisconsin game on October 29th. Armstrong also was 18/29 for 246 yards and one touchdown. A very good showing for the first road game of the season. Nebraska had a solid running game on Saturday night. Terrell Newby, Devine Ozigbo and Mikale Wilbon had a combined 26 carries for 165 yards and one touchdown. Mike Riley has wanted to do a better job running the ball this season, and it has worked out well so far this season. Newby did have an unfortunate play during the first drive of the game. While diving into the end zone, he stretched the ball across the goal line but lost control of the ball. The ball rolled to the back of the end zone, making it a touchback for Northwestern. It was an unfortunate play, but it didn’t define the game. Mike Riley & OC Danny Langsdorf continued to pound the rock and won the game. Riley & Langsdorf has also done a great job mixing in the passing game too. Balance has been the key on offense this season. I couldn’t find one specific player to give the MVP to. The entire defense played pretty well on Saturday. Northwestern only had 388 yards of offense with just 13 points on the scoreboard. Clayton Thorson was 24/37 for 249 yards, one touchdown and two interceptions. 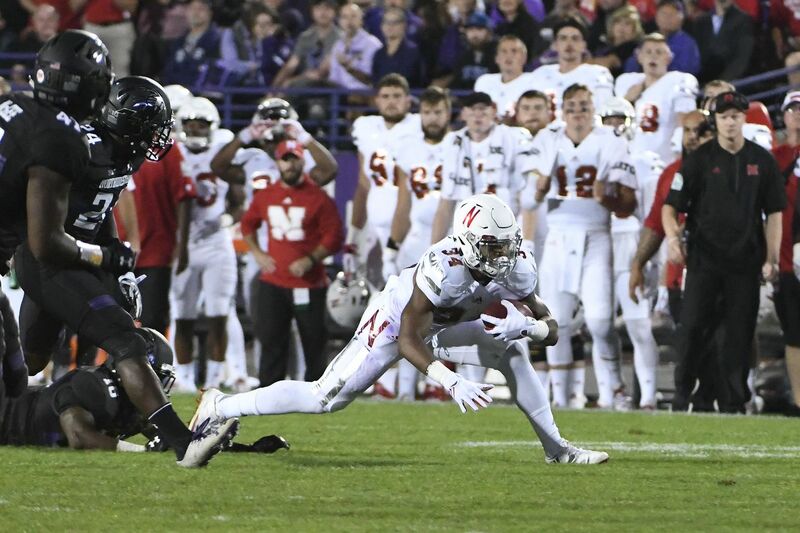 Nebraska shut down Northwestern’s run game, especially in the second half. They then made Thorson beat Nebraska with his arm, that didn’t work out too well. Nebraska may have given up a lot of passing yards, but it didn’t matter on the scoreboard. The two interceptions by Joshua Kalu and Aaron Williams were huge in this game. Lock-Down-U has played very well so far this season. Hopefully they can keep it up as Nebraska’s schedule does get tougher down the stretch. So how did we do? Any players stand out to you on defense? Let me know in the comments below!